has started at Nagasaki Prefectural Art Museum. 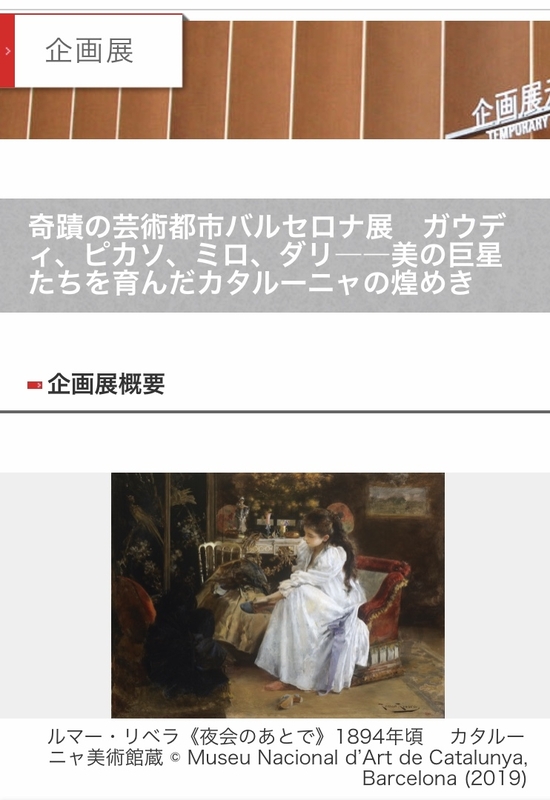 And I played in Audio Guide narrating many explanations about many great works for this exhibition. The audio guide is Japanese version only, sorry. Please enjoy this show with my voice guidance. If you come to this exhibition, you will find many wonderful artists. We cann't see their works in Japan usually, so it's a especially chance! And after enjoying this show, you will want to go to Barcelona because they have a lot of charm and strong history.